It’s obvious that you want your customers to find your company easily. That is why you should list your business in on Google My Business. 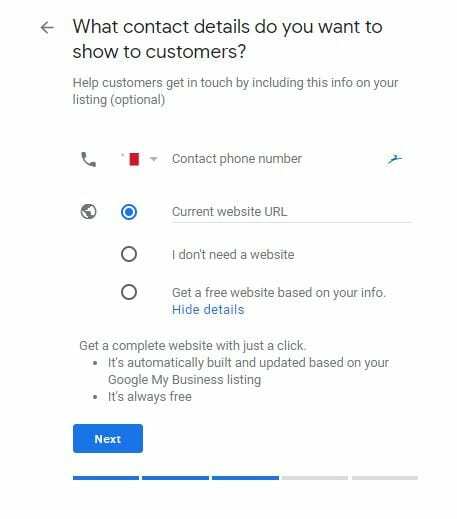 You need to find the fitting category which suits your company, fill in as much information as possible and update/monitor is regularly – then Google My Business can really help your local rankings. We want to make it easy for you! Check our tutorial to learn how to list a company in Google My Business and what benefits it gives you. 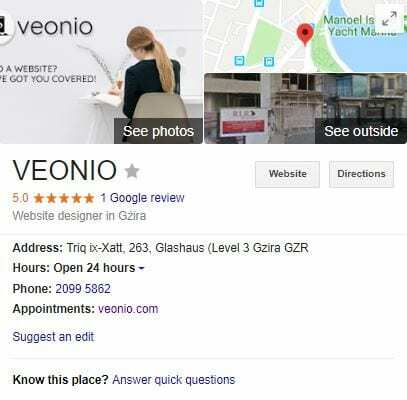 How to list a company on Google My Business? First, what you need to do is to go to the website Google My Business login to your Google account and click start. The next step is to write down your company name. Type a company name and press “Next”. 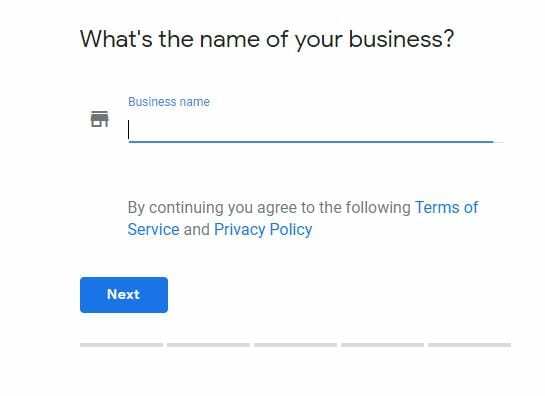 Now, Google My Business will ask you about your company address. 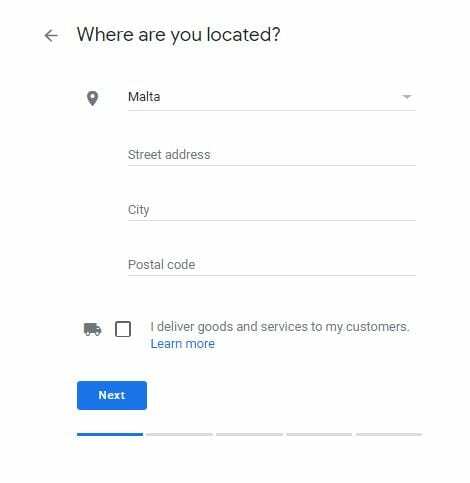 When you tick the box: “I deliver goods and services to my customers”, another option will appear which allows you to hide your address. Not everyone wants the address to be shown or there is no need because the company gives online services and their main communication source is email or social media like Facebook. 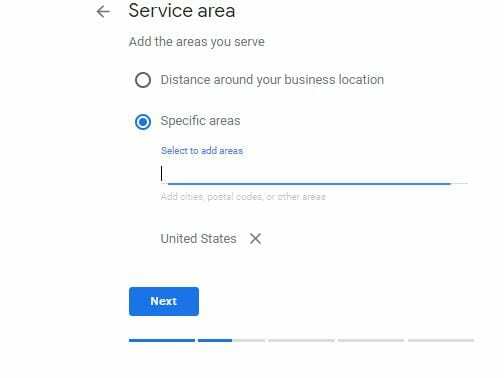 As the next step, Google My Business gives you an opportunity to place the exact marker position (useful if the entered address shows the wrong place or not precisely enough the location of your business). If the location is exact, you can proceed to the next step. 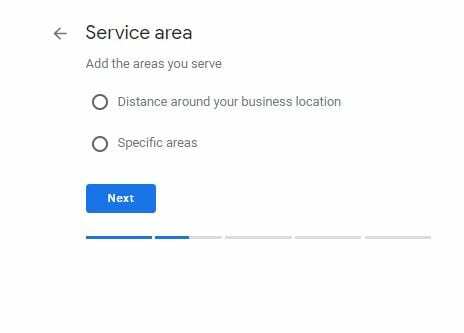 Distance around your business location: Type the distance you want to be shown in kilometers or miles. Specific areas: If you want your business to appear in a different area then your business is located. Here you can easily type the city or country name. For example, if you have an online store for the kids directed at US customers, but you are based in Malta. In this case, you want your company to be visible for the USA and that is why you need to pick the right location which suits the business. Now you need to categorize your business. Write a keyword that describes your company and Google My Business will give you a selection of categories. Remember to choose the category with prudence as it needs to fit your company perfectly. 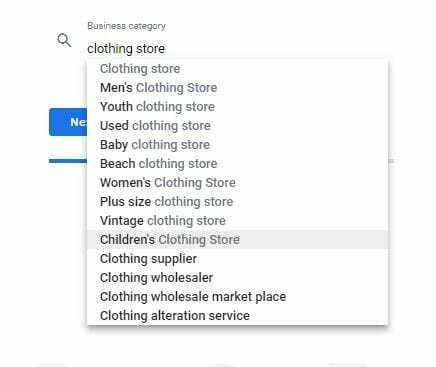 As I mentioned in the example with the online store for kids before, you need to check the options Google My Business is giving you. In this case, I find “Children’s clothing store” the most fitting category for my business. What you need to know is that you can’t create your own category. 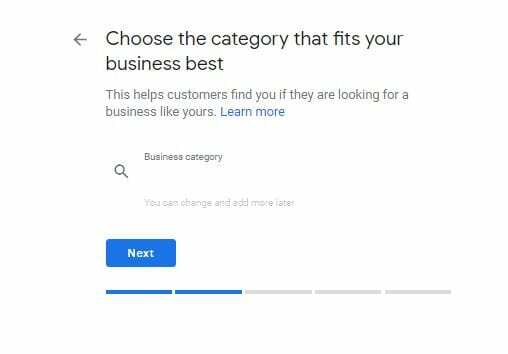 If the category you wanted to use is not available than choose a category Google suggests you. Now, you are asked for the contact details you want to show your customers, e.g. your business’s phone number or a website. If you don’t have a websites, simply tick the box “I don’t have a website” or let Google My Business create a simple website with basic information, which is free of charge. Alternatively, we at VEONIO can create the perfect website for your business. Click “Next” and then “Finish”. Finally, it’s a time to verify. This is done by sending a postcard via mail to your previously entered business address, which can take up to 14 days to arrive. 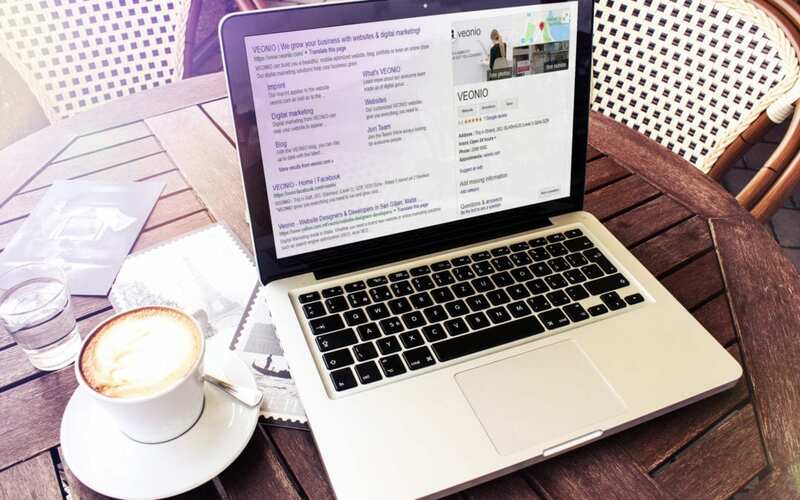 The listing is completely for free – as a small business owner you have enough expenses but Google gives you an opportunity to stand out and list your company totally free of charge. You hit a large audience – as I mentioned before, Google is the most popular search engine, so just imagine how many people can bump into your business accidentally. This is amazing opportunity for you to be more successful. 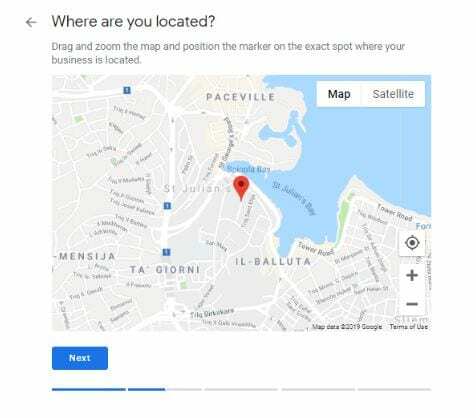 Customers are able to find your business – Google My Business helps your clients to find the exact address of your company. Business posts – with Google my Business you are able to add posts which can help you promote your business. Communication channel – your Google My Business profile is another channel to communicate with your clients. Visibility the section shows the website number of views. You can change the data to show the last 7, 30 or 90 days report and have access to graphs. Audience this section shows you everything about your potential client age, gender, and country. In conclusion, Google My Business enables you to get found easy by local searches and integrates seamlessly with their other tools (e.g. AdWords, Insights, Google+, Maps and Search) for free. All you need to do is to list your business giving the right data. It takes you maximum 5 minutes and gives you all the Google benefits.